TBBL makes no endorsement relative to the listed camps and training opportunities unless explicitly sponsored by the League. TBBL reserves the right to publish information related to camps and other training opportunities based on the likely benefit and interest of our players, and will do so at the discretion of the Board of Directors. 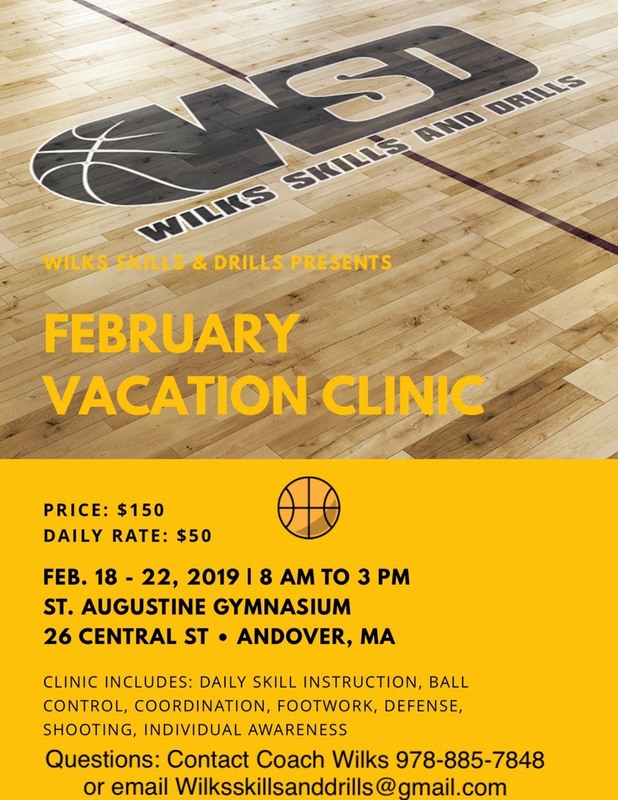 If you would like information for a basketball camp listed here, please contact the us at tbbl@tewksburyboysbasketball.org. 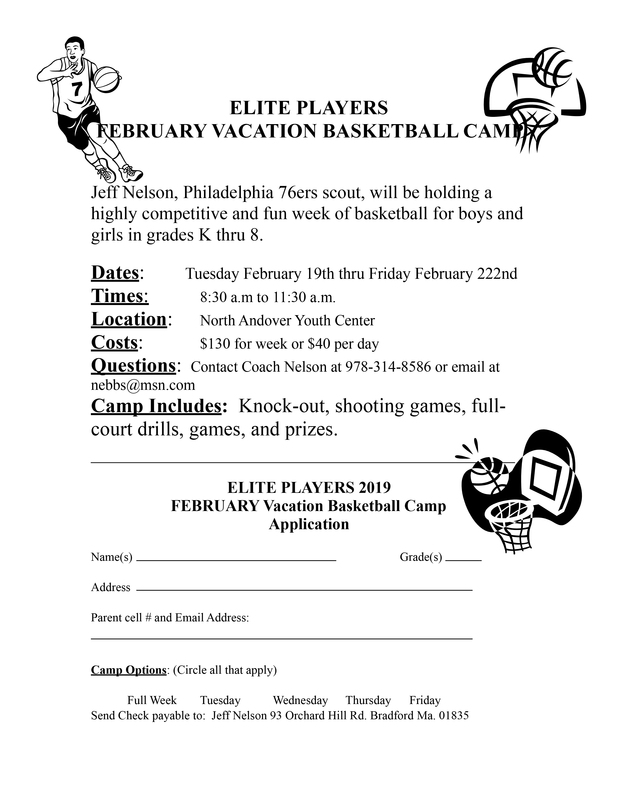 Jeff Nelson, Philadelphia 76ers scout, will be holding a highly competitive and fun week of basketball for boys and girls in grades K thru 8. Times: 8:30 a.m to 11:30 a.m.
Camp Includes: Knock-out, shooting games, full-court drills, games, and prizes. Please CLICK HERE for the Camp Application.